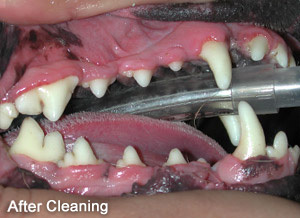 Your pet can have dental diseases and problems just like you. Many of these problems can be avoided by bringing your pet to your veterinarian at South Fork Animal Hospital for regular check-ups and dental cleanings. If left untreated, dental disease can not only be painful and inhibit proper nutrition, it can also lead to serious systemic issues that may threaten your pet's health before symptoms are noticeable. 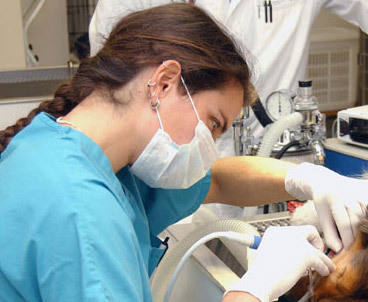 To be sure you're doing all you can to protect your pet's health and keep him or her feeling great, please make regular dental examinations and cleanings a part of your pet's regular preventive care plan. 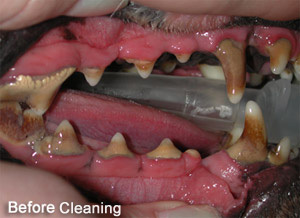 Should we find any issues, we will discuss them with you and offer treatment options for your pet. We are experienced dental practitioners and can provide a variety of dental procedures and oral surgeries. If you are unsure of how to brush your pet's teeth, please ask a member of the staff at South Fork Animal Hospital for instructions. We are happy to help! If your pet is experiencing any of the above symptoms, his or her overall well-being and health is also being impacted. Don’t wait - please call South Fork Animal Hospital today for an appointment.